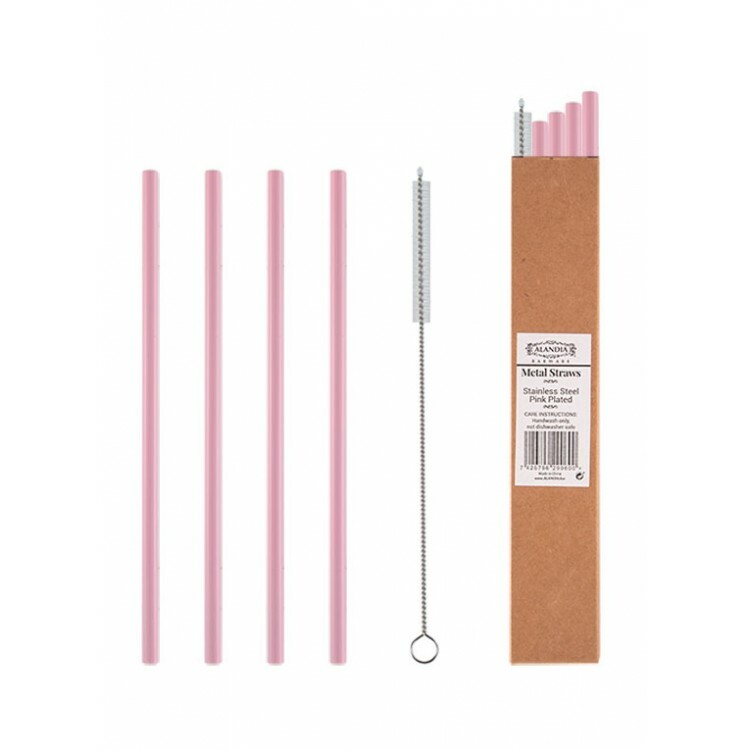 The end of the plastic straws has come, the pink stainless steel straws from ALANDIA Barware are here! 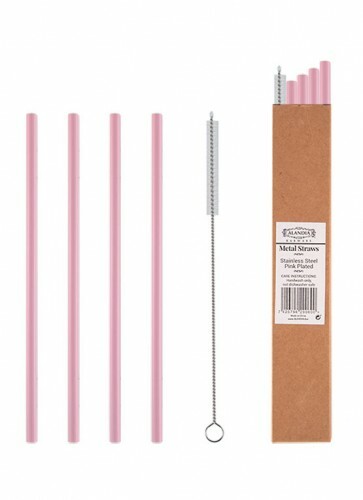 And that's a good thing, because on the one hand your drinks look simply beautiful with these pink straws. On the other hand, you no longer produce unnecessary garbage. 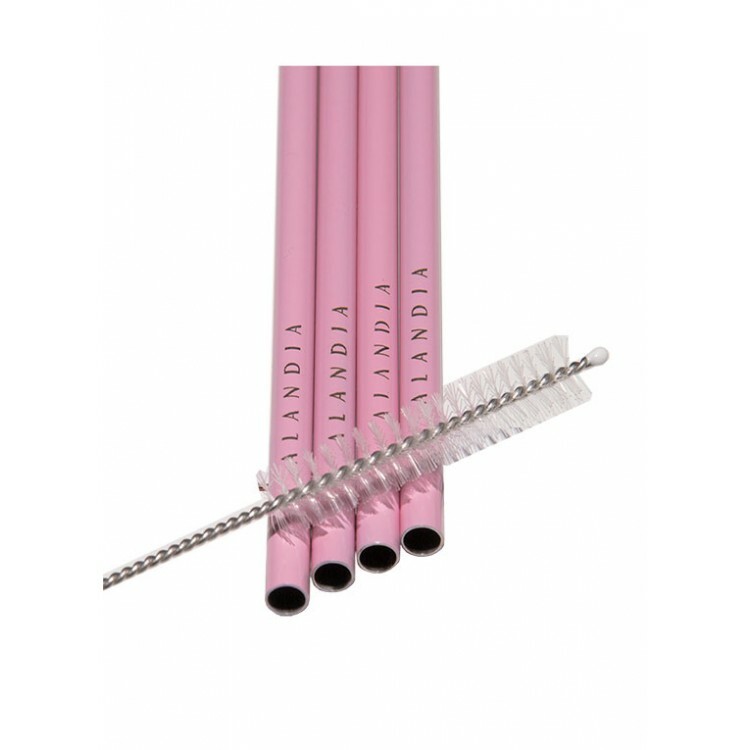 The end of the plastic straws has come, the pink stainless steel straws from ALANDIA are here! And that's a good thing, because on the one hand your drinks look simply beautiful with these pink straws. On the other hand, you no longer produce unnecessary garbage. As the straws are made of metal, you can use them again and again. 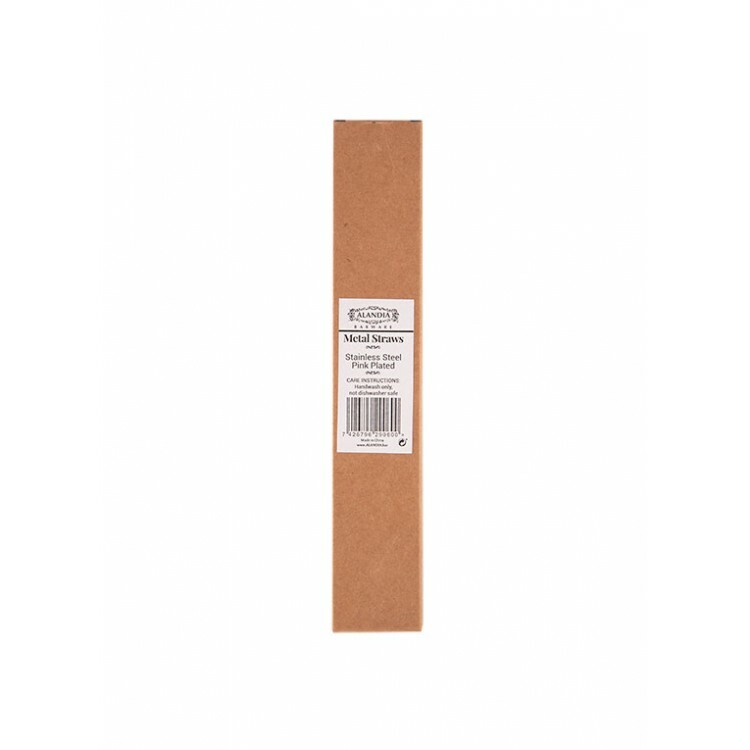 Each set contains as well a small brush for easy cleaning of the straws. The stainless steel material guarantees a long service life and the black coating provides the ultimate beauty factor. 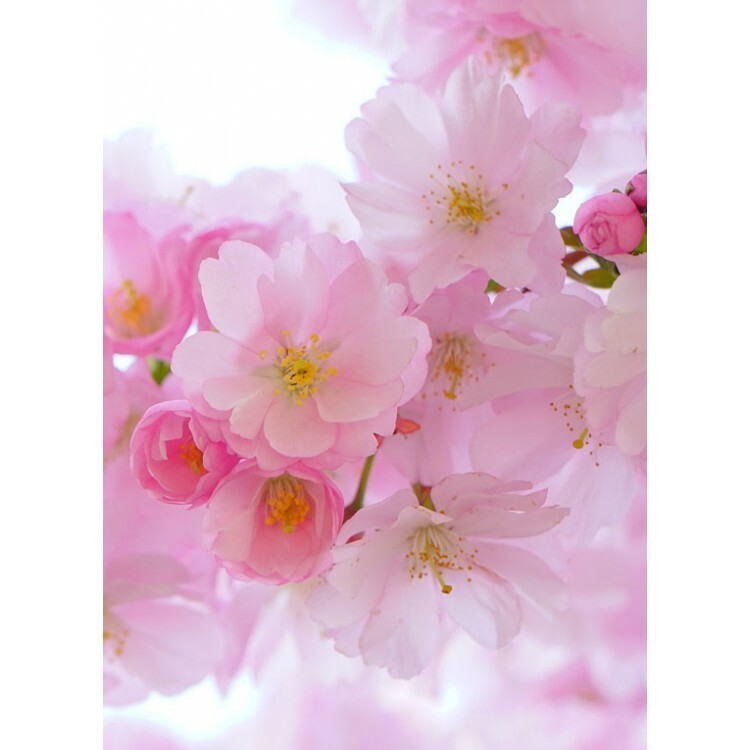 Care Instructions: You should always wash the straws by hand, as the cleaning salts in the dishwasher are very aggressive and can harm the pink coating. 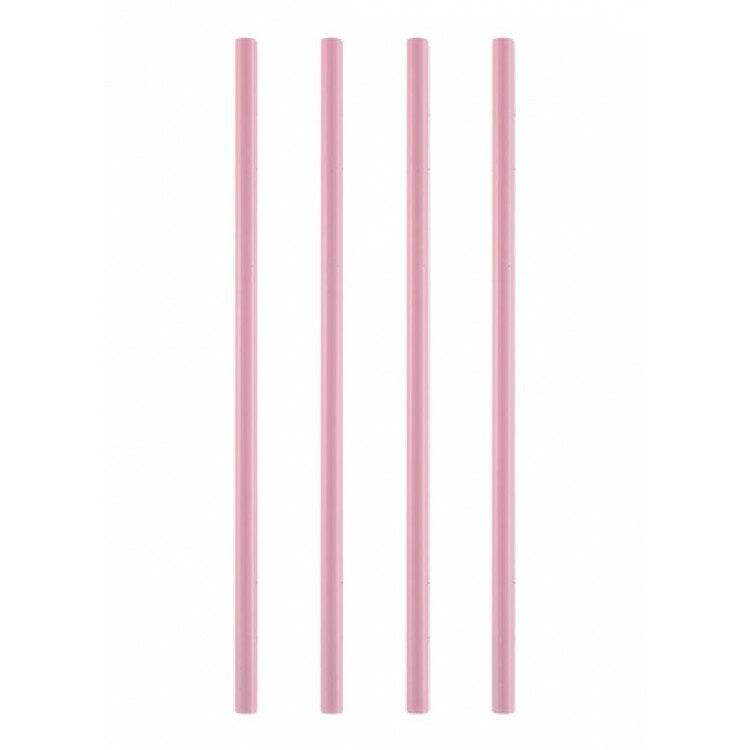 If you follow this care instruction you will be rewarded with a long shine of your pink straws. 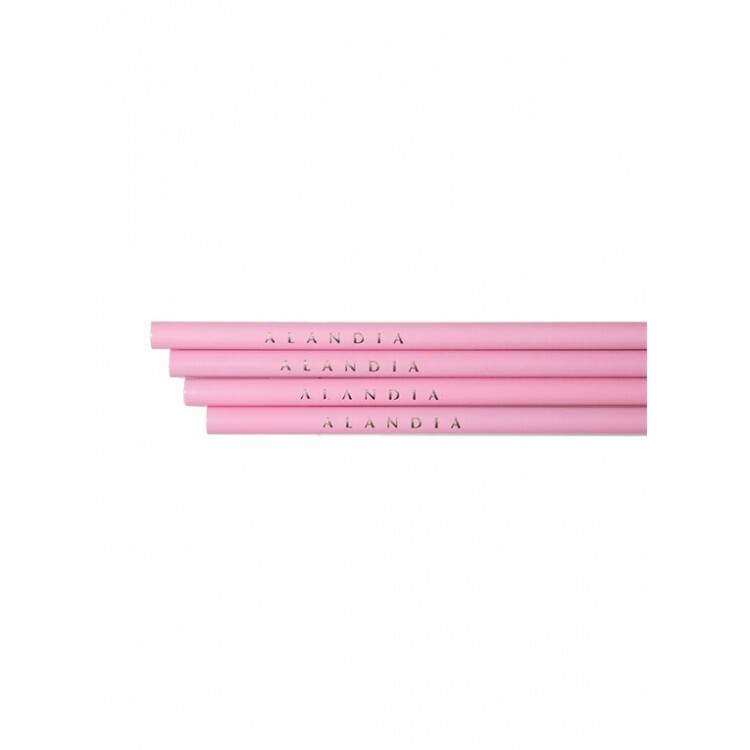 The ALANDIA straws are precisely manufactured and functional in use. The ends of the straws - often weak points in other products - are carefully rounded so that they do not cause any injuries while drinking. Drinking from the straws is also optimized. They have a slightly wider diameter than conventional straws. This makes sucking easier and saves you aching cheek muscles. The robust material guarantees a long service life and the feminine design simply looks awesome. You also make a positive contribution to the environment. Because you can easily reuse the straws and save plastic waste.